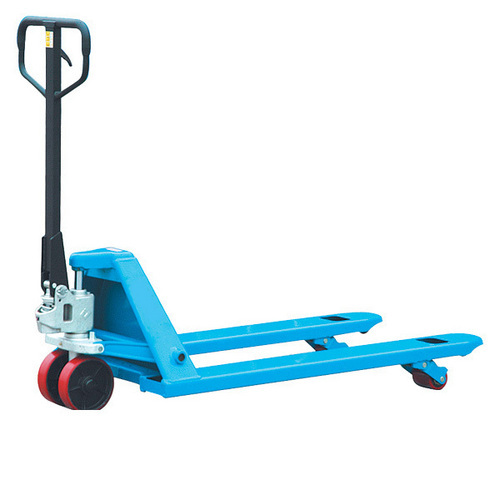 This pallet truck is fabricated from stainless steel and other non-eroding materials, making it the perfect answer for destructive situations. All surfaces are smoothed by glass impacting guaranteeing simple cleaning for hygienic situations. The ten oil fittings further secure against erosion. 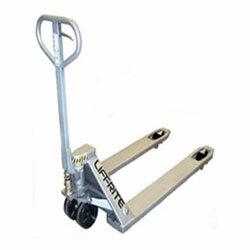 We are included in assembling and supplying an extensive variety of hand pallet truck. Made utilizing unrivaled quality crude material and most recent innovation, this scope of hand bed truck can be redone according to the customers' particular prerequisites. Accessible at industry driving costs, this truck is high sought after.